I’m not sure something like this really exists, but I’m pretty impressed with what I’m currently eating. 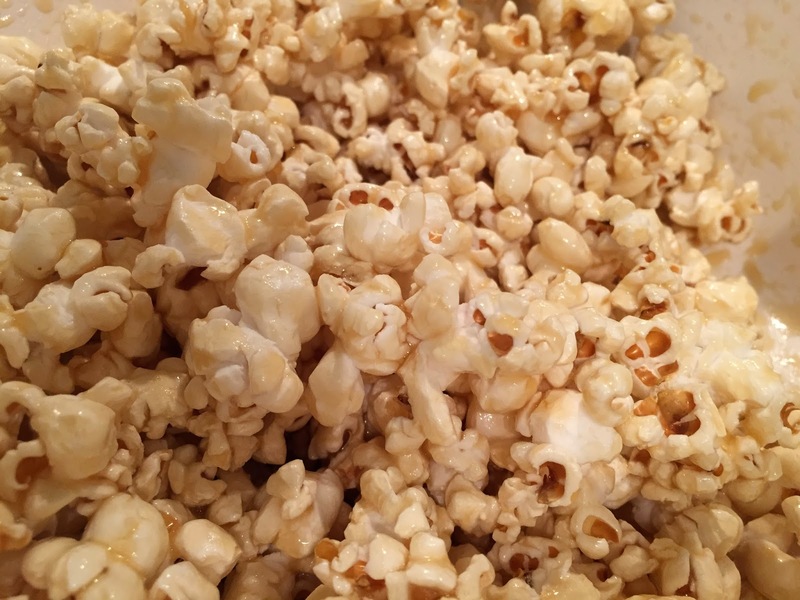 behold: salted “carmel” popcorn, made with coconut oil, honey, vanilla and salt. 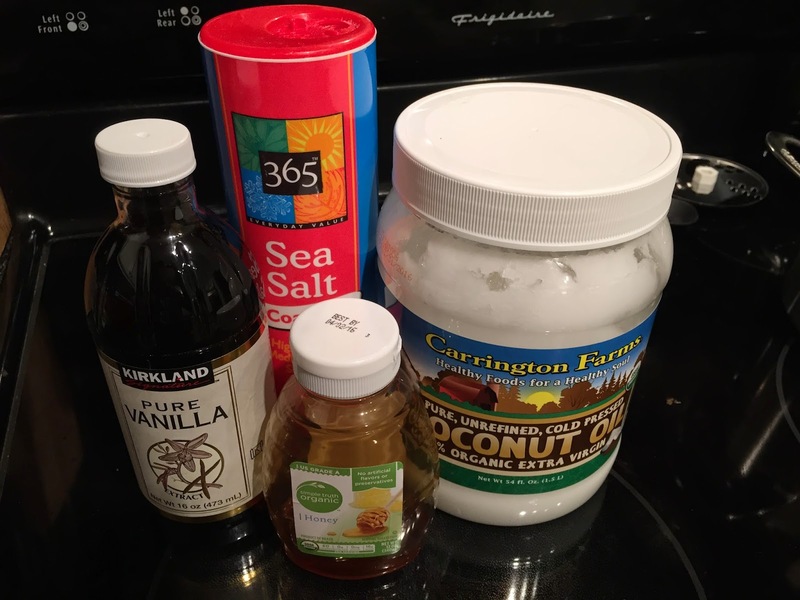 in a small saucepan, melt coconut oil and honey over the low heat. you just want the oil melted and the honey softened. they separate if they get too hot (but come back together as they cool so if you want to jump the process, stick it in the fridge). add vanilla & salt as soon as the oil is melted and mix well. stick it in the fridge while you pop your popcorn. we’re old school and pop our popcorn in a pot. melt the oil over medium heat and add the kernels. swirl it around and cover with a lid but leave it ajar. it should start popping within 2 minutes. resist the urge to turn the heat up; you’ll burn it! once it starts popping start swirling it again until the popping stops and remove from the heat. pull your “carmel” out of the fridge and mix again. you actually want it to have a carmel texture. If its not there yet, stick it back in the fridge. pour popcorn in a LARGE bowl and once the carmel is to the desired consistency, drizzle it over the popcorn, mixing well. use a spatula to coat the popcorn and scrape the extra carmel off the bottom of the bowl. again, stick it in the fridge to firm up if you want. it’ll be a little sticky regardless but it’s oh so amazing.